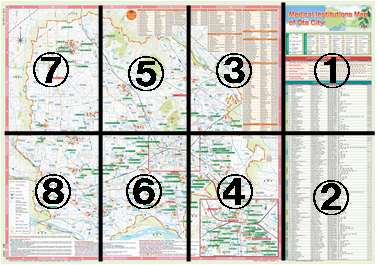 This map shows the medical institutions located in Ota City. It is a very useful material in order to help you manage your health care as well as to use as a guidance in case of emergencies. The Medical Institutions Maps of Ota City are available at Ota City Hall on the Consultation Corner for Foreign Residents and at all Hoken “Public Health” Centers.